Medical professionals who are clients of Navigator and other business contacts of Navigator can now enjoy free consultation by Messrs Christine M Koo & Ip, an established law firm with a strong insurance practice, acting for both insurance companies and the insured. 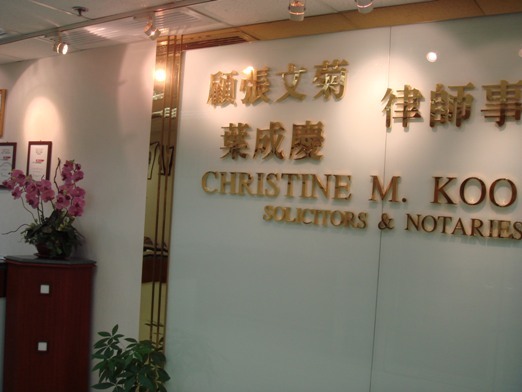 The law firm has lawyers who were previously in-house lawyers of big insurance companies and the law firm’s founder Mrs Christine Koo has long been the honorary legal adviser of various insurance associations such as LOMA and The Insurance Institute of Hong Kong Limited. Work handled by the law firm includes advising on the merits of insurance claims, litigation, drafting of insurance policies, insurance licence application, merger and acquisition of insurance companies, MPF and ORSO schemes, etc. professional indemnity cover for medical negligence claims. Understanding insurance policies has become very important for medical professionals in these increasingly complex times. There is now a real need to step up risk control, especially when clients and visitors are becoming more sophisticated and demanding. Those who wish to benefit from the free legal consultation are welcome to contact Navigator's Customer Service Department to make the arrangement. Please call 2530 2530 or email crew@navigator-insurance.com. Christine Koo is the founding partner of the law firm, having been admitted to practise in Hong Kong, England and Australia. She has over 20 years' experience in Hong Kong as well as overseas as an insurance lawyer and had substantial experience as in-house legal counsel of a major international insurance company. She has been appointed the honorary legal advisers for many years for insurance bodies such as the LOMA Society of Hong Kong Limited, the Insurance Institute of Hong Kong Limited and the Hong Kong General Insurance Agents Association Limited. She has also been an Independent Member of the Chirpractors Council Hong Kong. Sarah Wong is an insurance lawyer who has extensive experience in employees' compensation claims, personal injury claims and insurance-related litigation in relation to which she has been acting for the claimants as well as for the insurance companies. She also advises many insurance companies on policy disputes of various kinds. 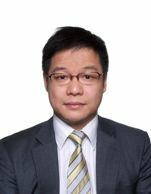 Albert Tang has been educated in Hong Kong and England and has extensive experience in civil litigation. A very important part of Albert's practice is litigation in relation to employees' compensation, personal injuries claims and insurance related disputes.